Mopping a wood or laminate floor will not only remove stains, but it will also decrease the amount of harmful bacteria that will harm your pets and children. Unfortunately, the same hot water and soap you use to clean the floors may leave behind unsightly water stains, especially on hardwood floors. These stains are caused by floor cleaner residue and mineral deposits from the water. Cleaning the moisture marks caused by mopping will truly make your floors look immaculate. 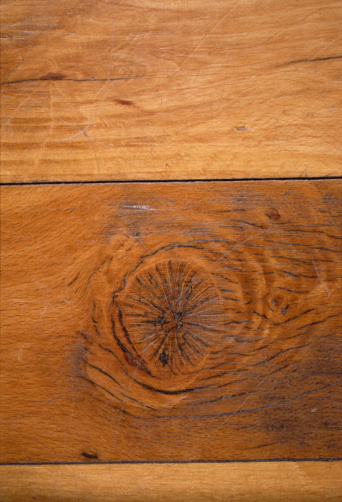 Remove water marks from wood and laminate floors. Prepare a mixture of 1 gallon warm water and 1/4 cup white vinegar. Wet a white cloth with the mixture. Wring out the cloth until it is damp, not soaking wet. Dry the newly cleaned section immediately with a separate cloth. The white vinegar wash will remove any water marks, while drying the floor quickly afterward will prevent any further water stains from forming. Continue cleaning and drying the floor in small sections until the entire room is complete. Will a Humidifier Damage Wood Floors?